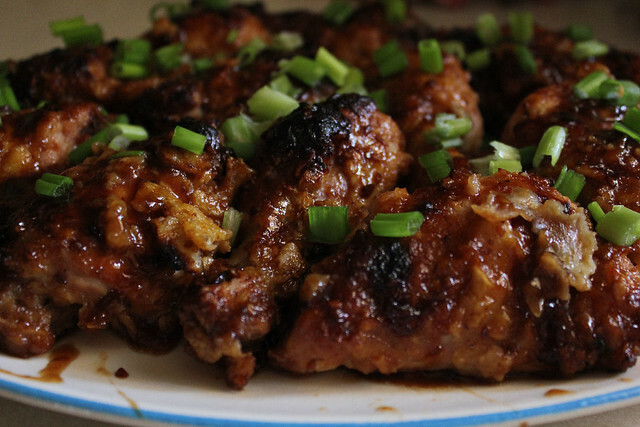 I LOVE sticky chicken, remember the recipe I shared with you all a while ago for Slow Cooked Sticky Chicken? 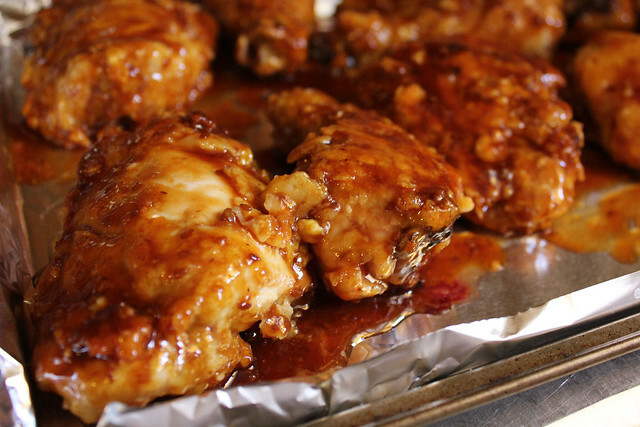 Well this is another kind of sticky chicken but also JUST as delicious and not slow cooked. 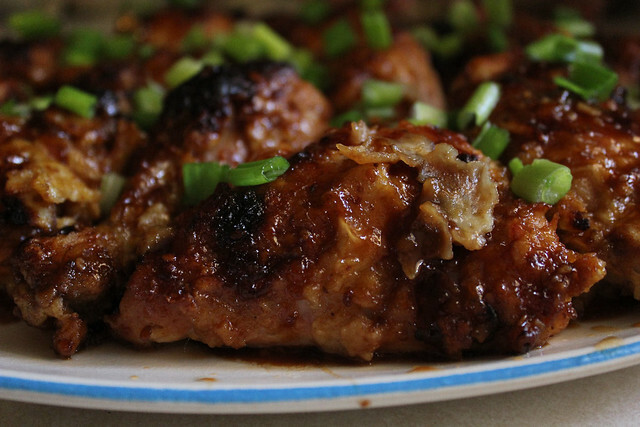 I didn't use boneless thighs, I used drumsticks and thighs bone in...you can certainly cut them after they're cooked OR use chicken tenders too which is something I'll be doing next time.....but these were phenomenal. YUM! 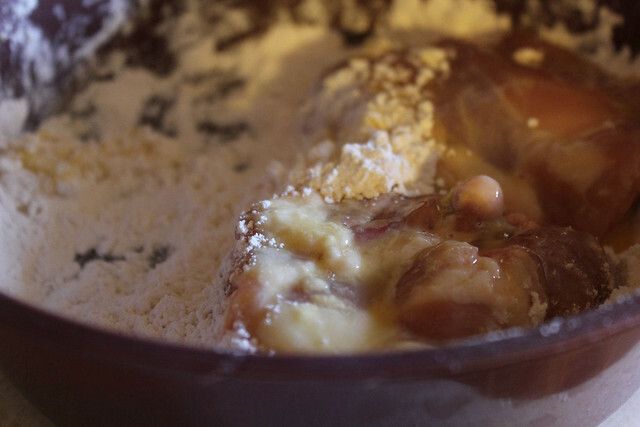 Dip thighs in eggs then flour, shaking off excess flour. Fry in butter in a large skillet over medium high heat. Fry each side until golden. Drain on paper towels. Pour 12 ounces of teriyaki sauce in a bowl and stir in pepper flakes then dip each fried piece of chicken in the sauce coating each side well. Shake off excess sauce. 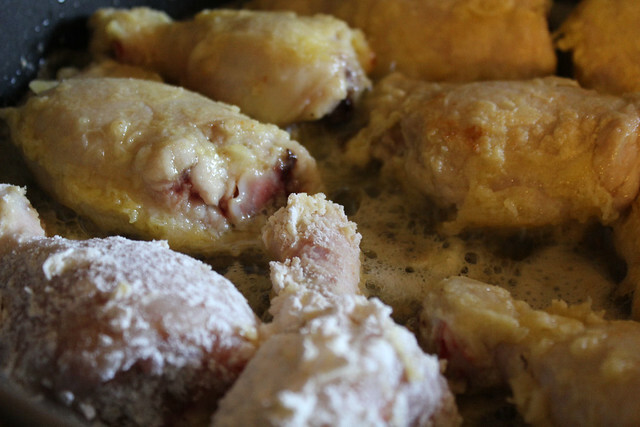 Place each piece of chicken on a well greased foil-lined large jelly-roll pan. Bake in 400 degree oven for 20 minutes. 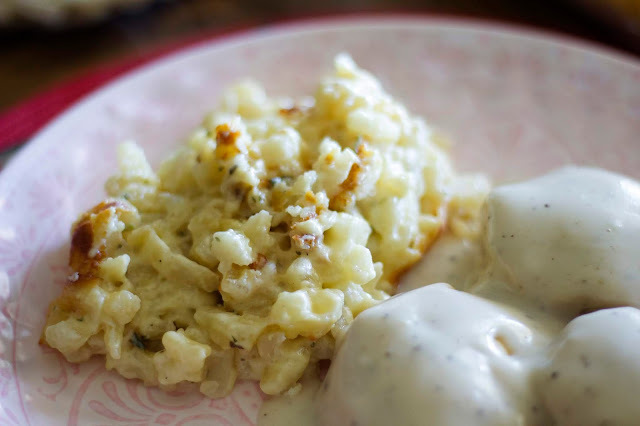 Remove from oven and slice each piece and plate over a bed of rice. 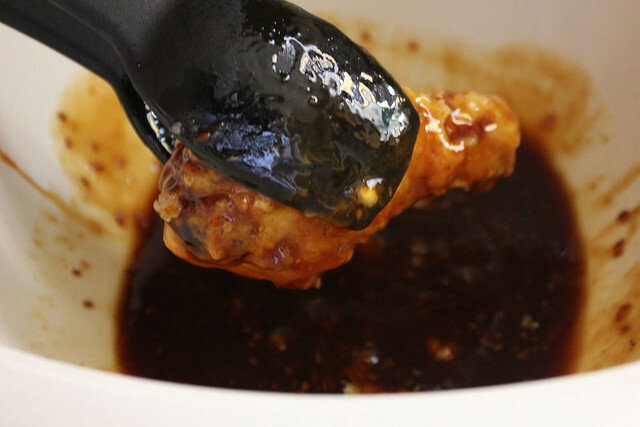 Heat one cup teriyaki sauce and pour over chicken, sprinkle with green onion slices and serve immediately. Serves 12. **Your teriyaki sauce must be thick like a barbecue sauce. Gosh that sure looks good. I'll have to try this one soon too. I made the rosemary and roasted garlic meatloaf a few weeks ago--it was so good too!! The whole family loved it. 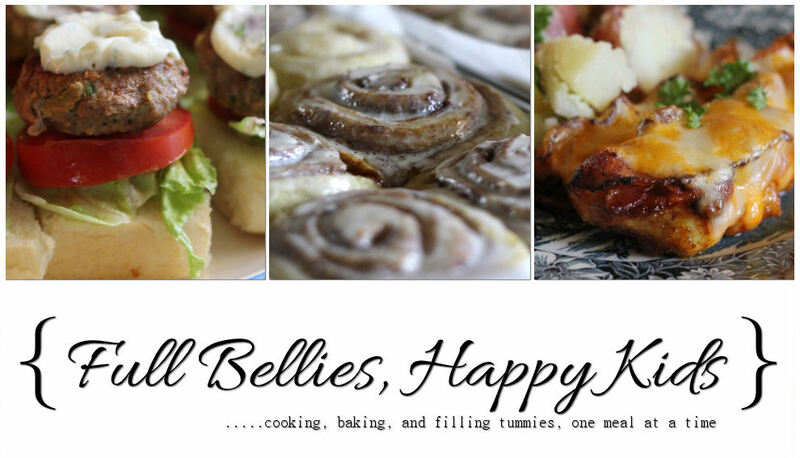 Thank you so much for sharing all these recipes. Take care.